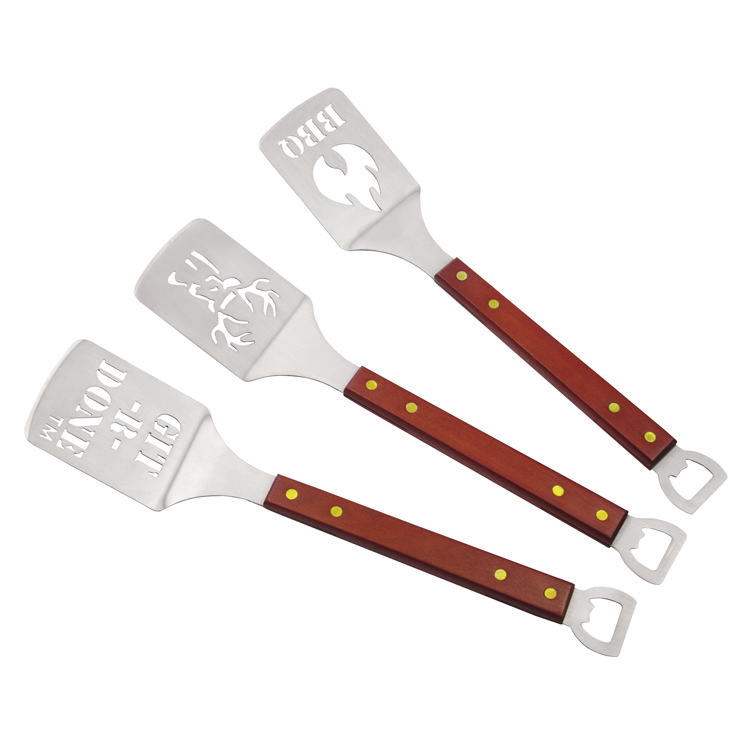 With high quality stainless steel material, the slotted spatula is durable and long lasting. The slotted ergonomic blade help you move the food easily. Balanced and pleasant to the touch handle keeps away from the heat.Slotted head easily slides under your food. 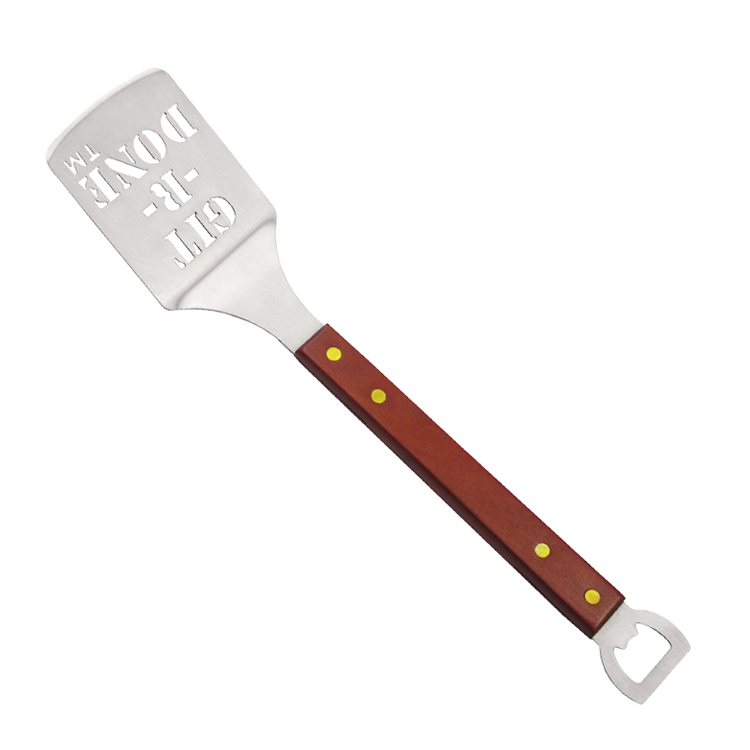 Bottle opener in the handle for increase function.The barbecue turner has a flat front edge that can slip under any sort of food with ease. Turner can be used for sauteing veggies, turning meat, mixing scrambled eggs, flipping burgers, grilling fish and more. 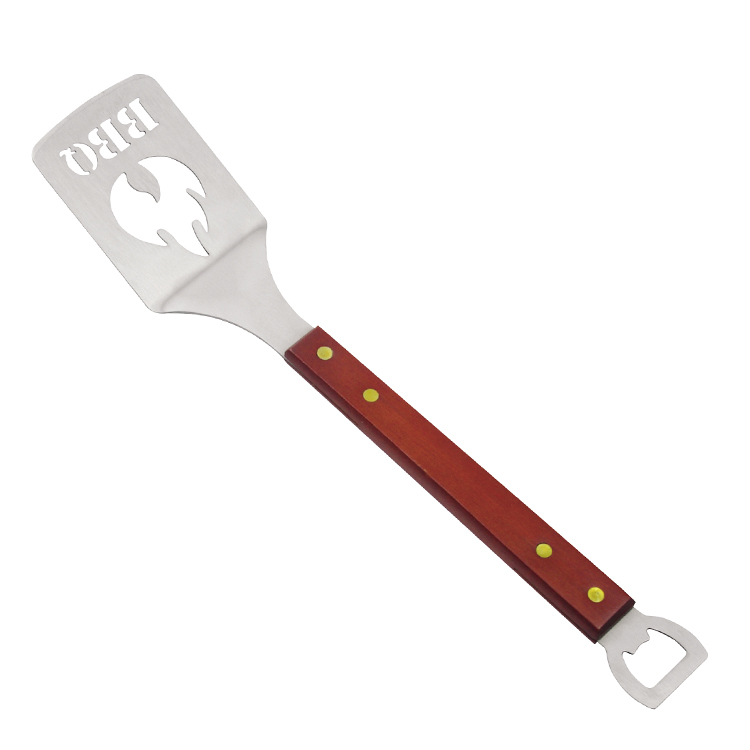 Looking for ideal Guitar Slotted Bbq Spatula Manufacturer & supplier ? We have a wide selection at great prices to help you get creative. 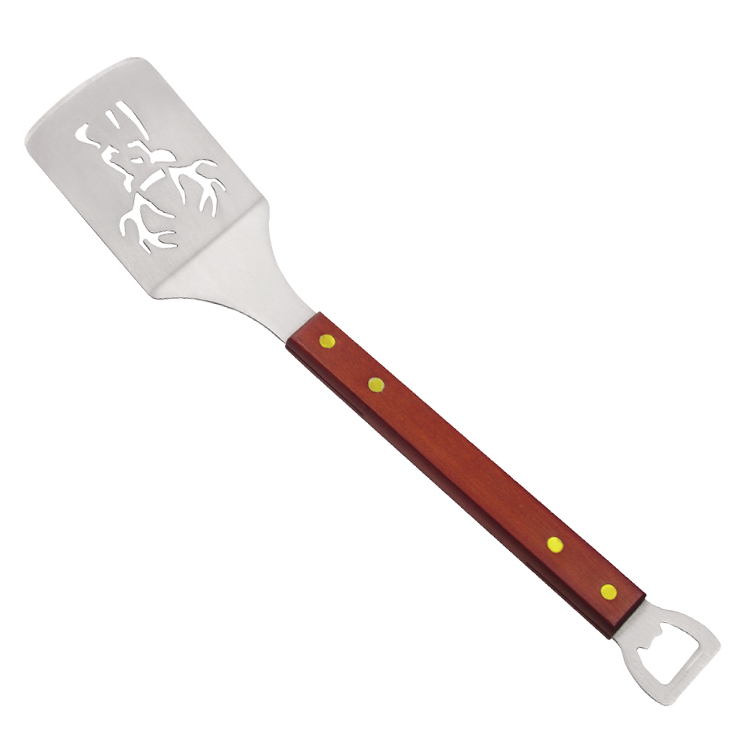 All the Funny Barbecue Spatula are quality guaranteed. 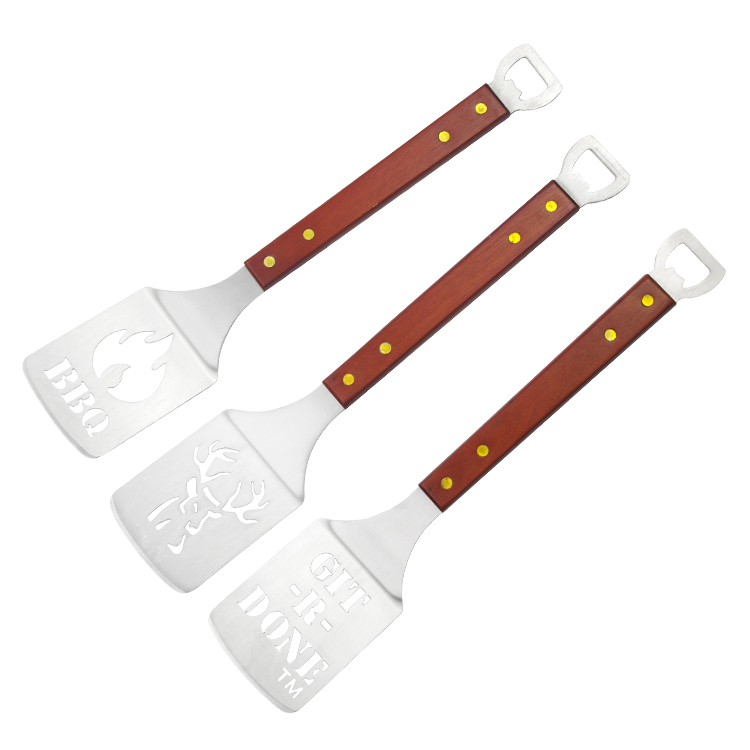 We are China Origin Factory of Slotted Barbecue Spatula. If you have any question, please feel free to contact us.